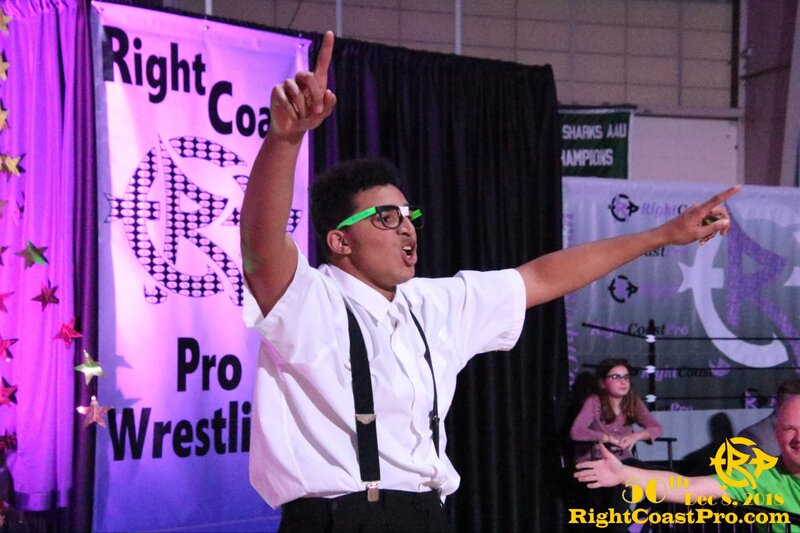 Clearly outmatched physically, Dexter Boykin had to rely on nerd power to escape Right Coast Pro Wrestling in Delaware’s 50th Event Celebration with a victory. 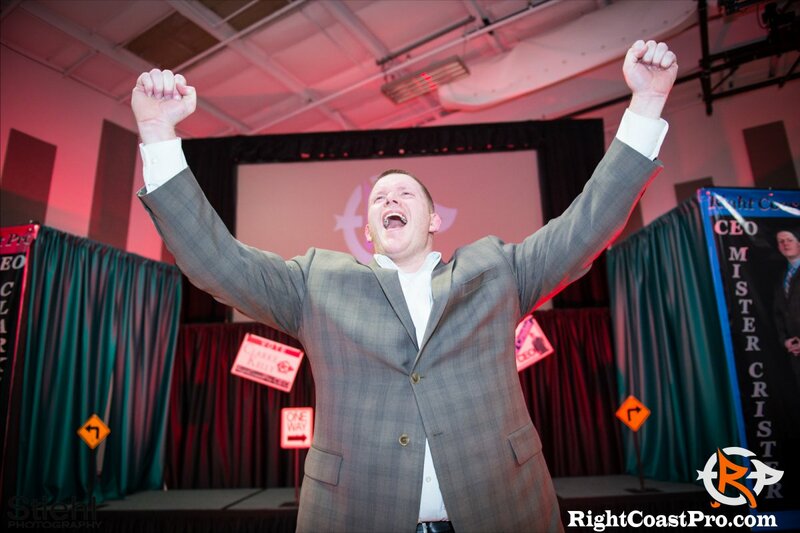 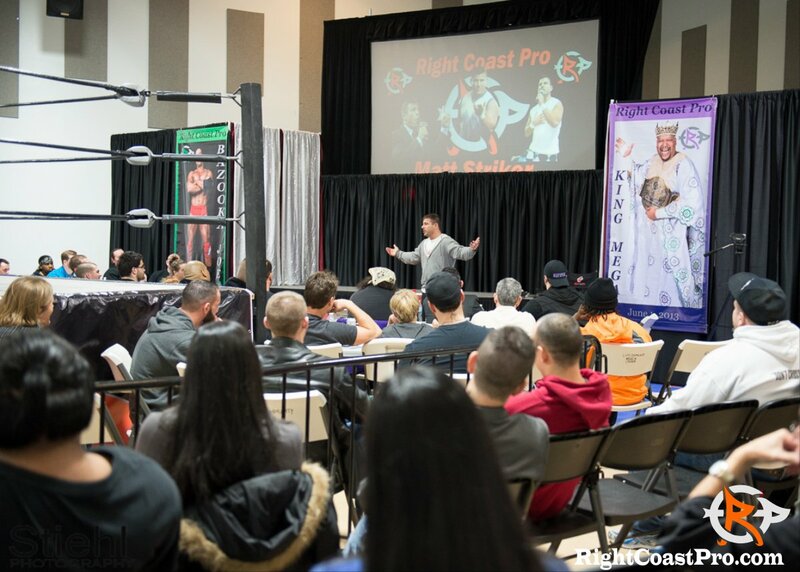 The Definition of a Ring Technician Harry M Baldwin has been searching for the key to regaining his momentum in RCP for months. 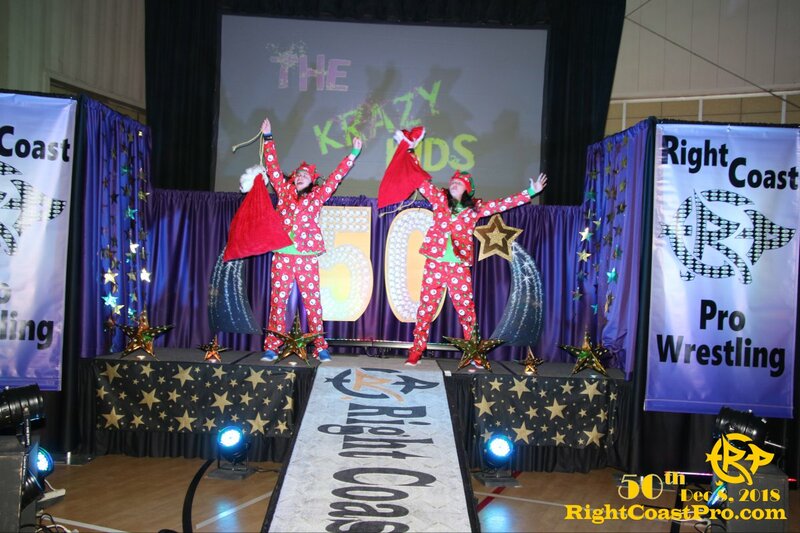 An issue with the signatures on the RCP Tag Team Championship contracts left the Krazy Kids without a rematch for the Right Coast Pro Tag Team Championship at RCP’s 50th event celebration at the Greater Newark Boys and Girls Club of Delaware. 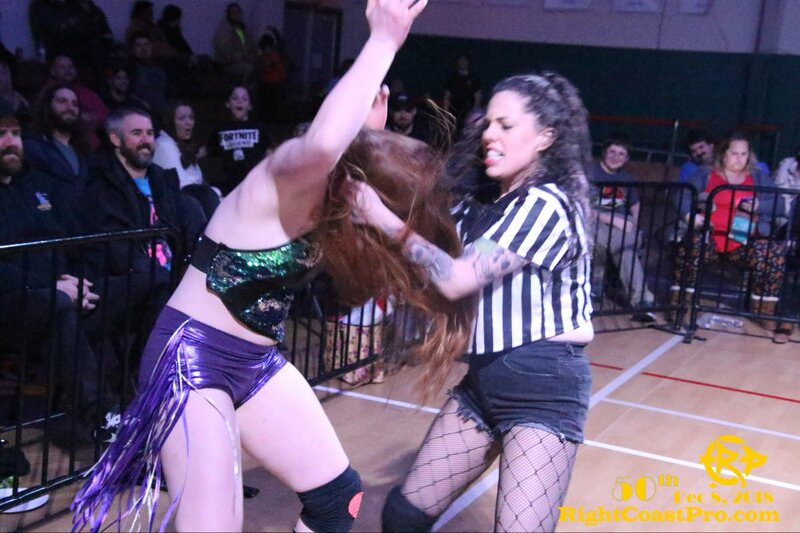 As a result of this technicality, Money and the Monarchy, bowed out of the contest instead choosing to face opponents of the their choosing. 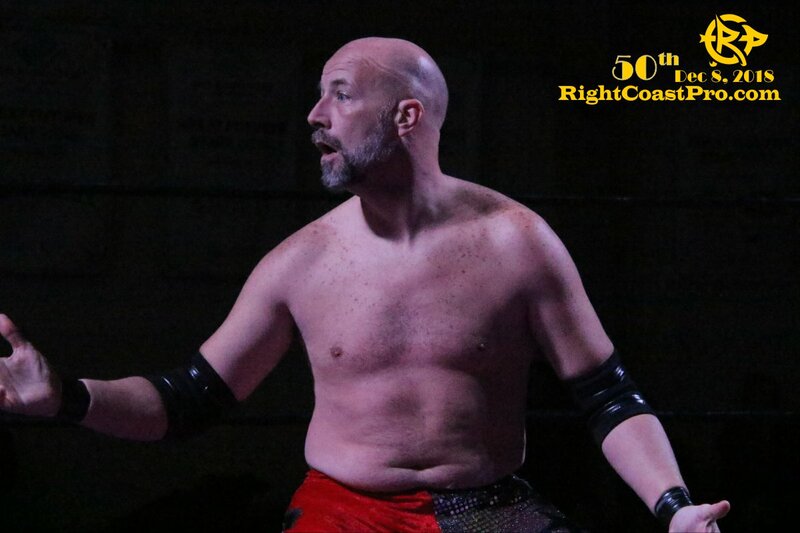 Glamorous Glenn Gordon came into and left Right Coast Pro Wrestling in Delaware’s 50th event still without an in ring victory. 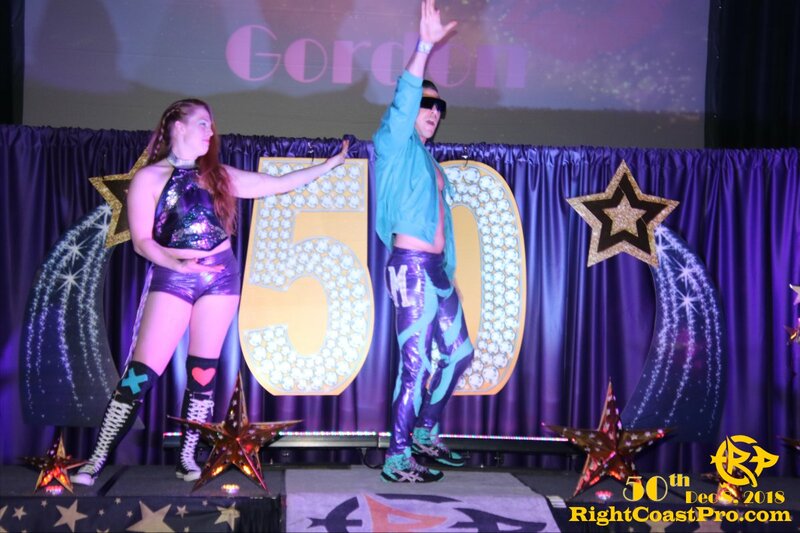 Victory was in 3G’s grasp at RCP’s 50th Event Celebration, thanks to the help of Glamazon M.
Thankfully Ref Nicki laid the law down on Glamazon M and physically removed her from the combative contest. 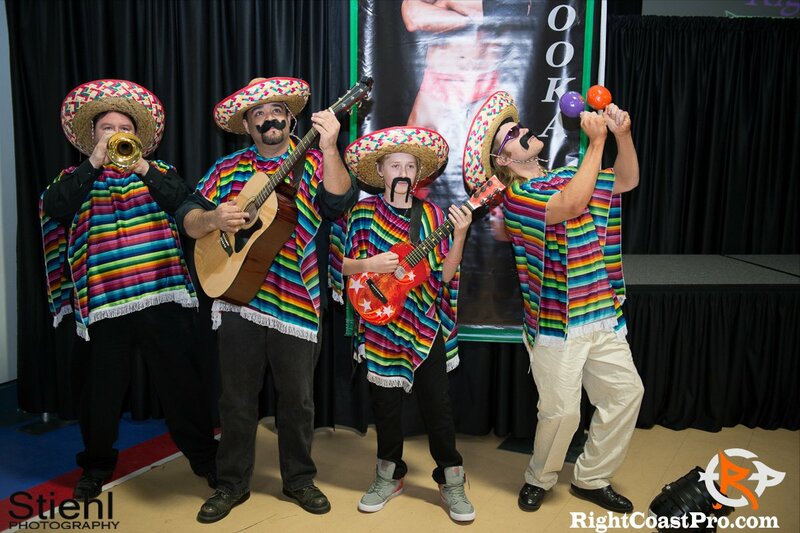 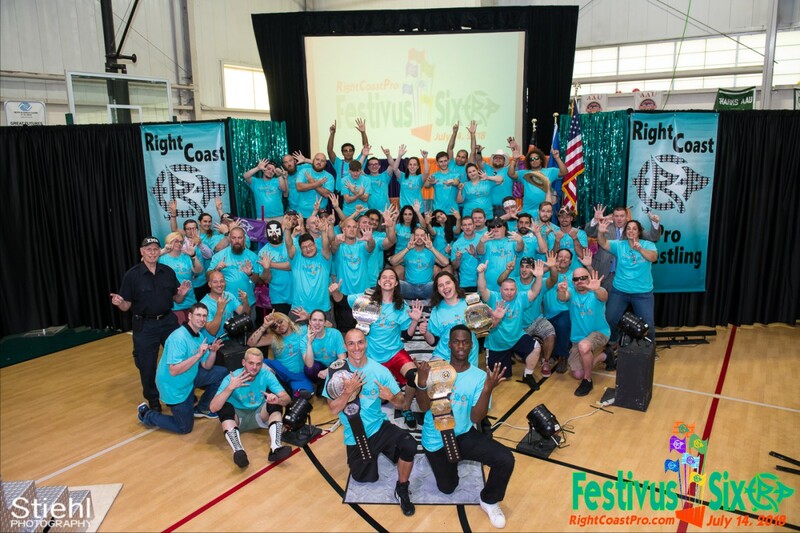 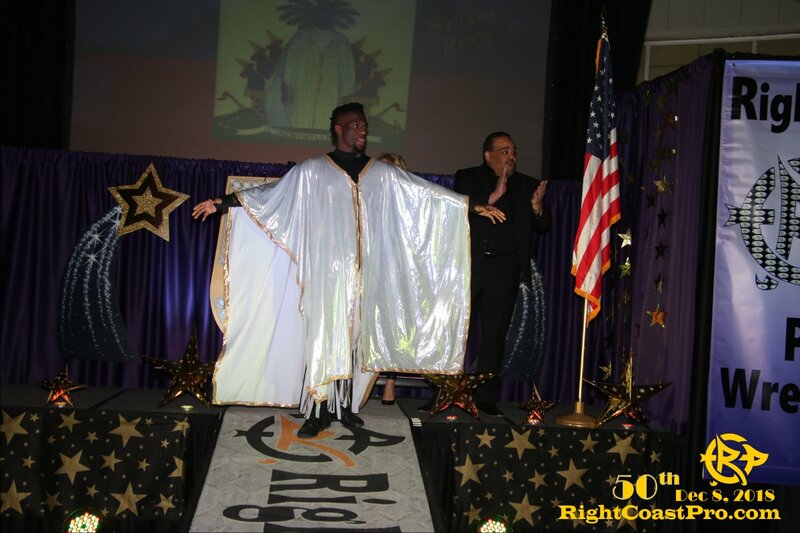 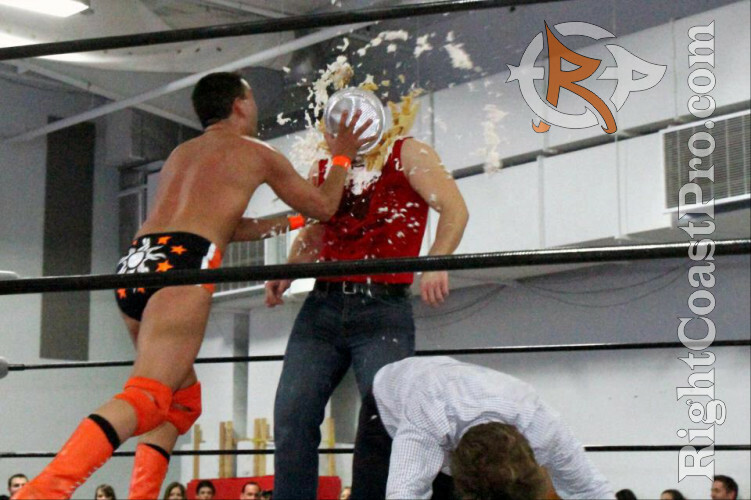 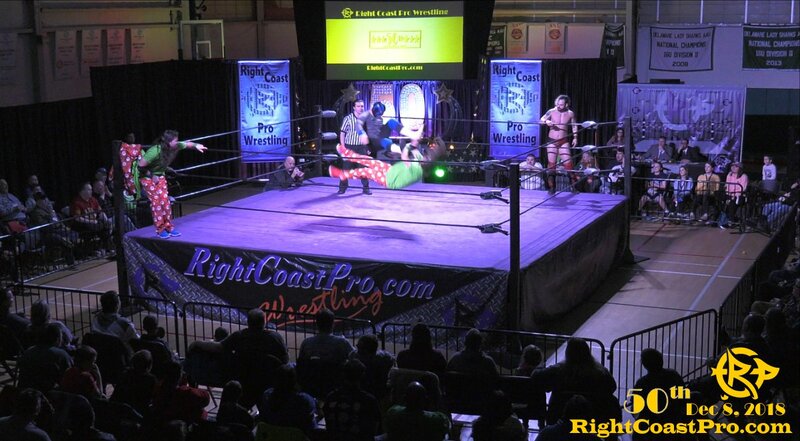 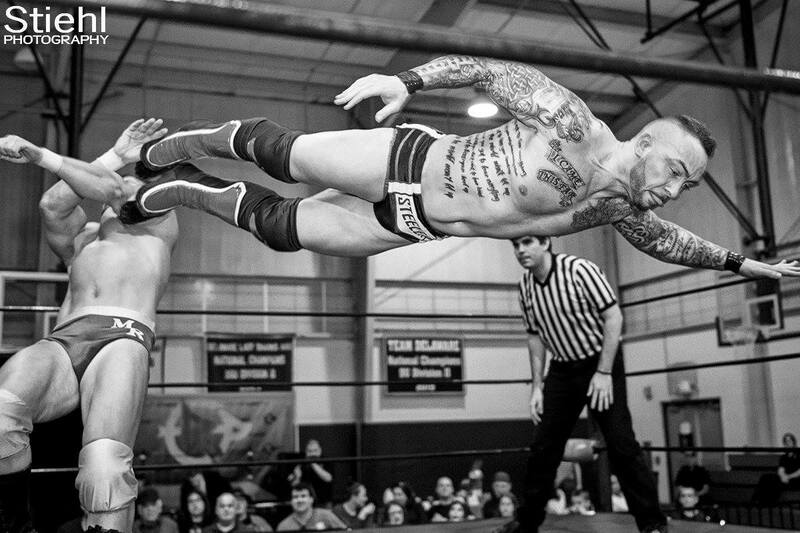 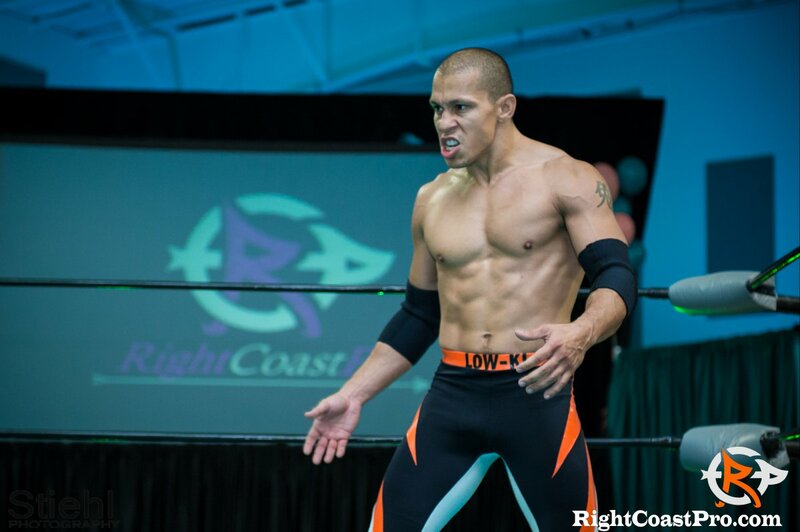 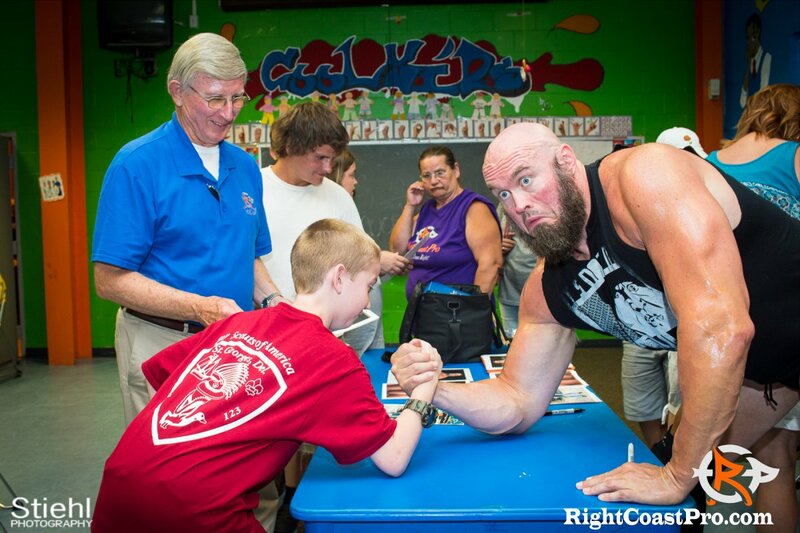 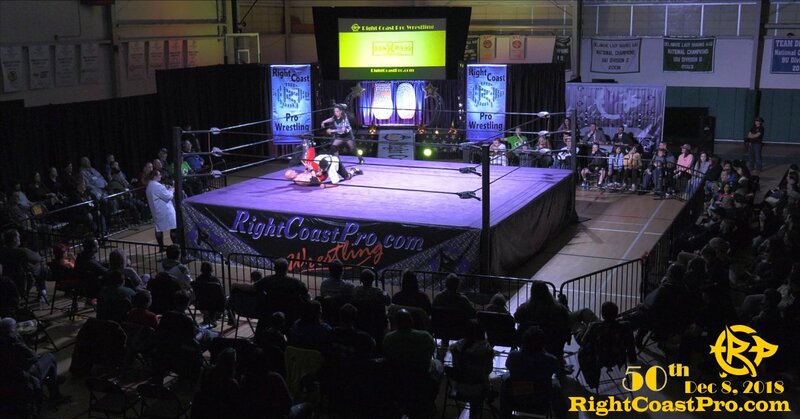 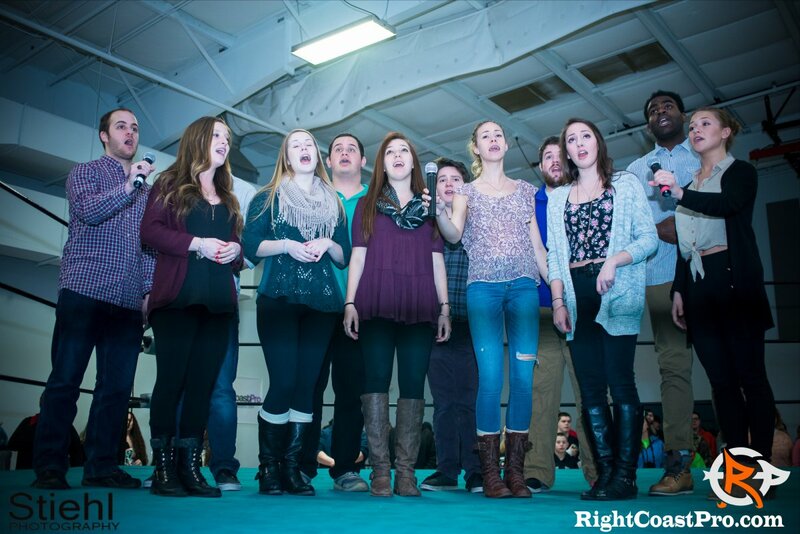 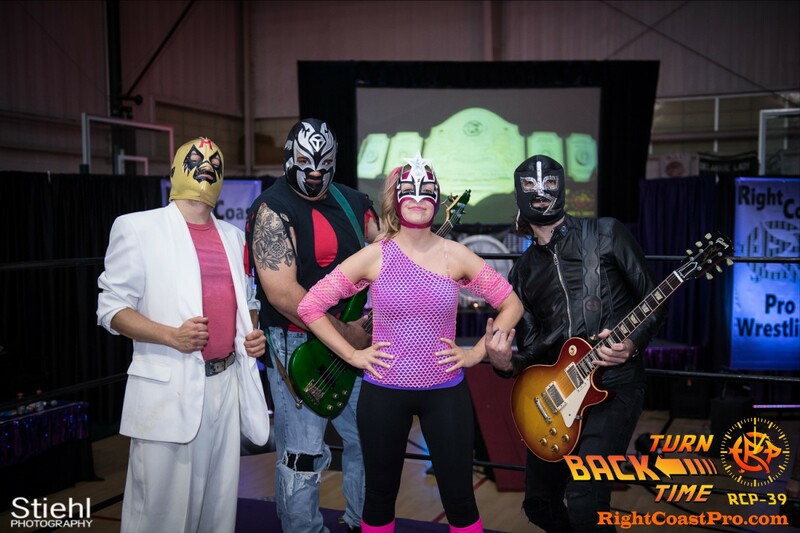 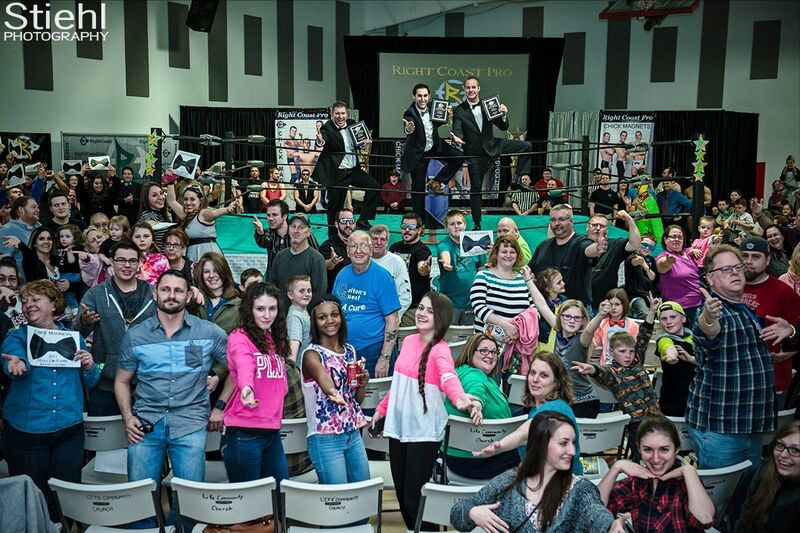 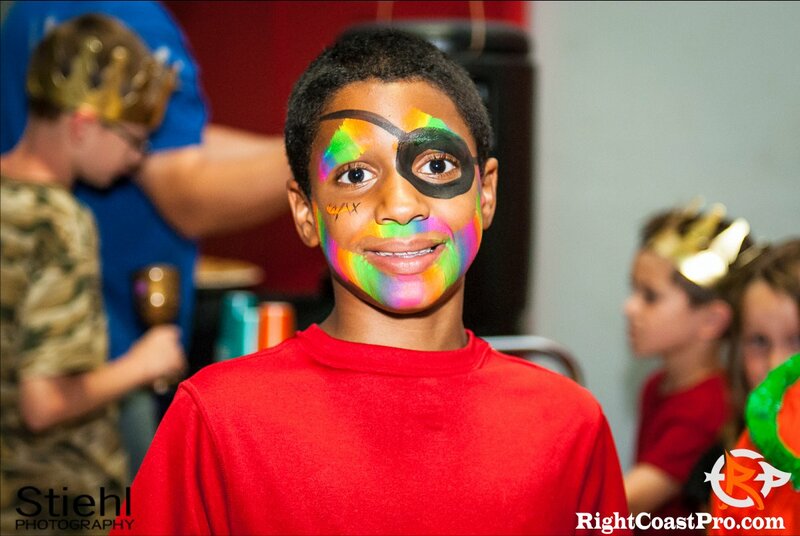 Right Coast Pro Wrestling started its 50th Live Event Celebration with a bang! 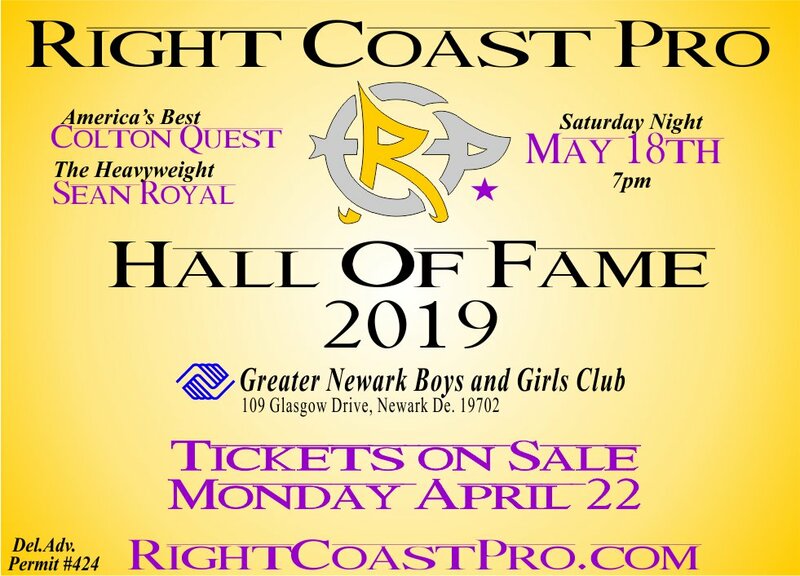 The Argentinian Strategist Just Neph and The Richest Man in Haiti Brian Profit faced off in RCP’s Opening bout and lived up to the expectations of the RCP Arena faithful’s. 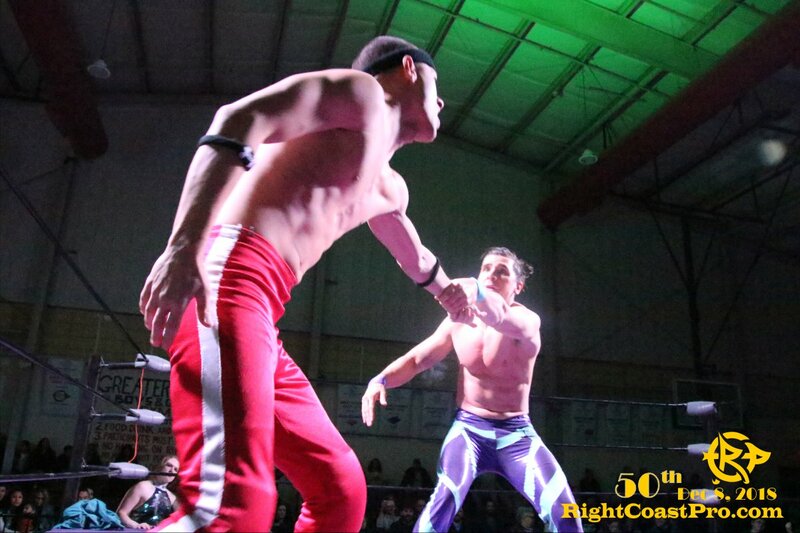 It was an evenly matched, extremely competitive match which either combative athlete could have walked out the victor. 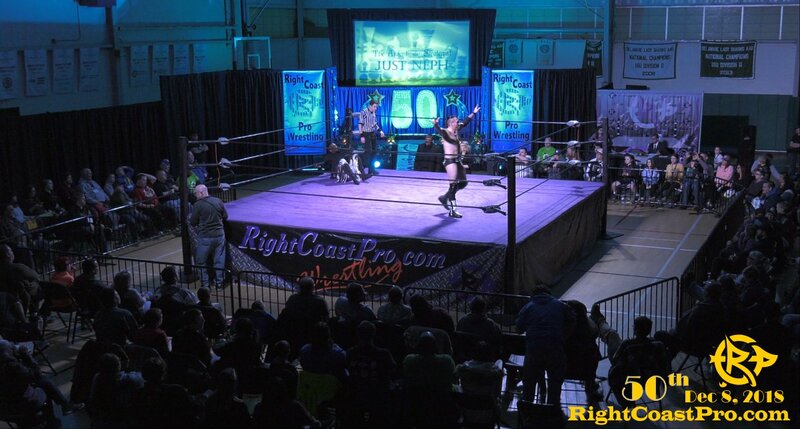 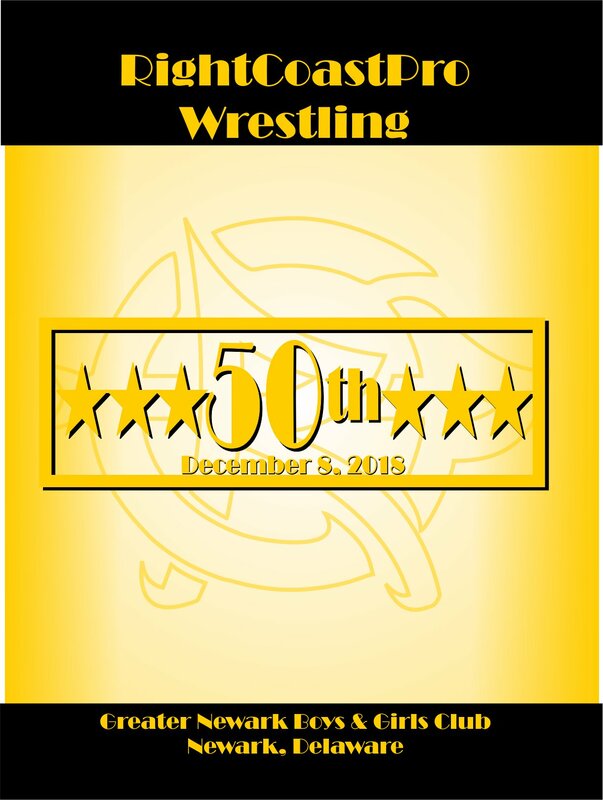 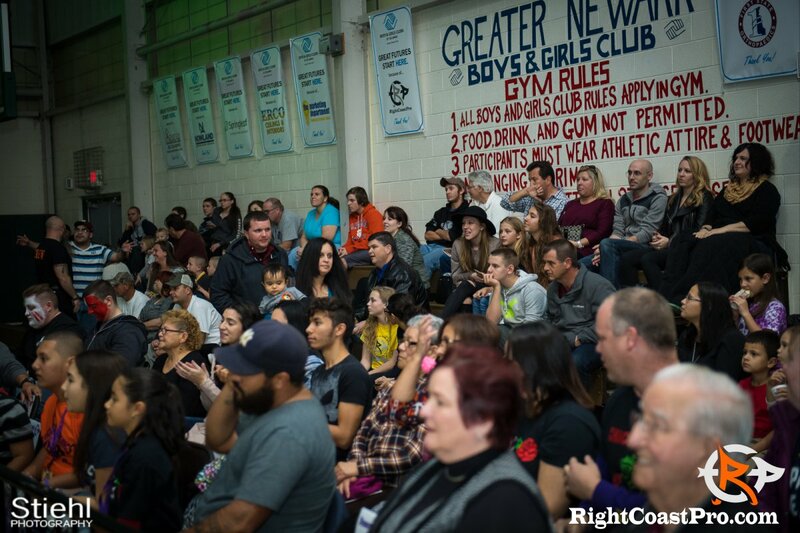 On December 8th Right Coast Pro Wrestling celebrated its 50th Live Event with plenty of action, suspense and fun! 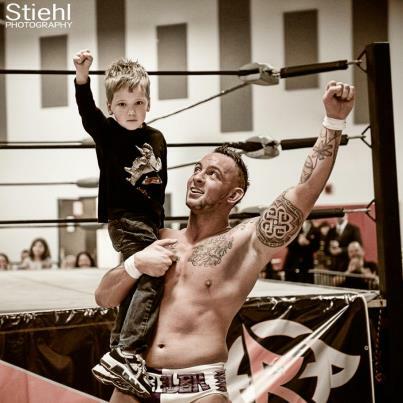 America’s Best Colton Quest defeated The Asian Assassin Setsu Ginsu to etch his name in RCP Heavyweight Championship History. 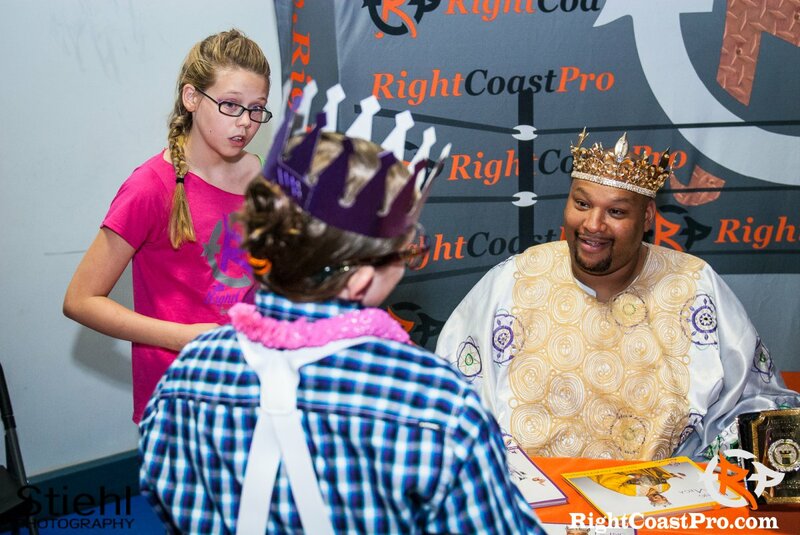 This history was documented and compiled into a collector’s edition laminated program by RCP Lisa! 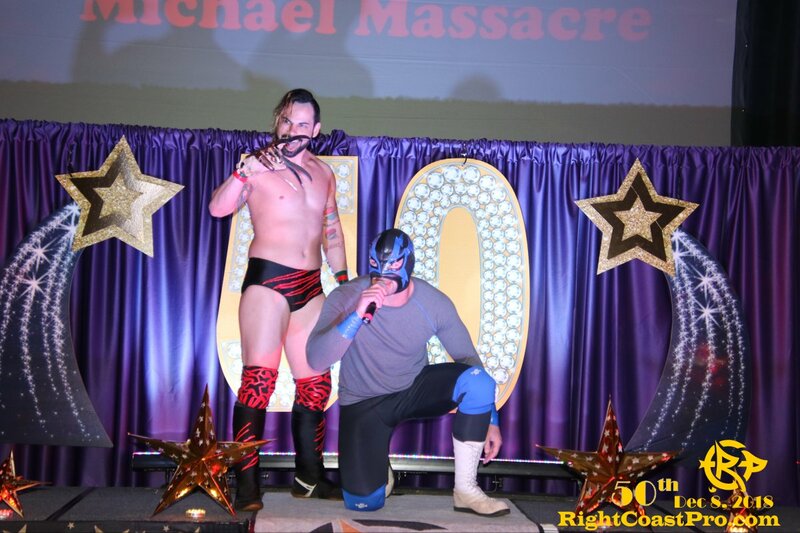 The program contained everything from our first event to our first Heavyweight Champion King Mega, our first Tag Team Champions ‘The Baldwin Brothers’ and our first Olympus Champion ‘Mad Dog’ Dixon as well as a small taste of milestones in between.